Huw’s main research interests lie in medieval French and Occitan literature, and particularly in troubadour song, Arthurian romance, and saints’ lives. He is currently writing a book on the beguiling bodies of saints and monsters in medieval hagiography. 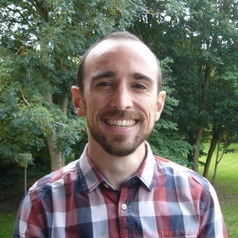 For his Leverhulme Early Career Fellowship he is turning to medieval didactic dialogues and their manuscript contexts, producing an edition of the Old French ‘Dialogue between a Father and Son’. Huw studied French and Italian at St John’s College, Cambridge, and went on to complete a PhD in Medieval French and Occitan literature (also in Cambridge). Following a Teaching Fellowship in Medieval French in Oxford (2011-12), he has held postdoctoral posts with the University of Kent’s Elucidarium Project (2012-14) and with the Medieval Francophone Project (Cambridge/KCL/UCL) (2014-15).